Piece of Cake Studio's stealth action title, Hacktag, is officially out today on Steam. The game has been in some version of alpha/beta/Early Access since last year, but today it officially leaves all that behind and enters the world as a full version release! 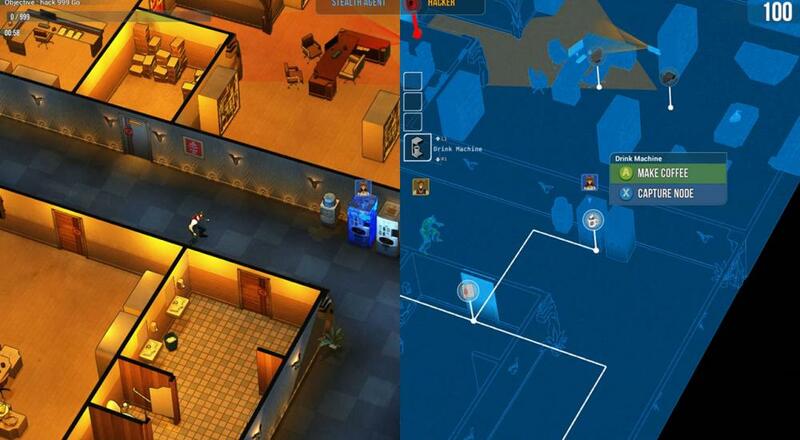 The title supports two player local co-op or two player online co-op, with one player taking on the role of the Agent while the other is the Hacker. The goal is to infiltrate corporations and steal valuable intel that could bring them down. The hook here is that the Agent moves about and interacts with the physical world, while the Hacker can only influence things that are connected to the network. Thus, each player has a specific role to play and cooperation is definitely required. Locke and I played some of the title while it was still in beta last May and enjoyed our time with it overall! Hacktag is available on PC via Steam for $19.99. It is on sale for a limited time for $15. It supports two player local co-op or two player online co-op throughout the campaign. Page created in 1.3733 seconds.